New Orleans superintendent of police Michael Harrison said the shooting investigation is still ongoing and motive has not yet been determined. Harrison said the shooters were believed to be wearing hooded sweatshirts, but that was the only description available. He repeatedly asked for help from the public, stressing that "crimes like this only get solved with community participation." "This has to be personal," Harrison said. "Firing indiscriminately into a crowd, shooting 10 people, killing three? That's personal. It doesn't get more personal." The seven victims in the hospital — five men and two women — are being treated for "varying degrees of condition, some more critical than others," New Orleans Emergency Medical Services Director Emily Nichols said in the press conference. The three people pronounced dead at the scene were two men and one woman. No names of the dead or injured have been released by the New Orleans Police Department. Authorities are still investigating motive. New Orleans Mayor LaToya Cantrell issued a statement Saturday condemning the shooting. "There is no place in New Orleans for this kind of violence. I speak for everyone in our City when I say we are disgusted, we are infuriated, and we have had more than enough." She added, "We will dedicate every resource necessary to ending this horror and seeing justice done." 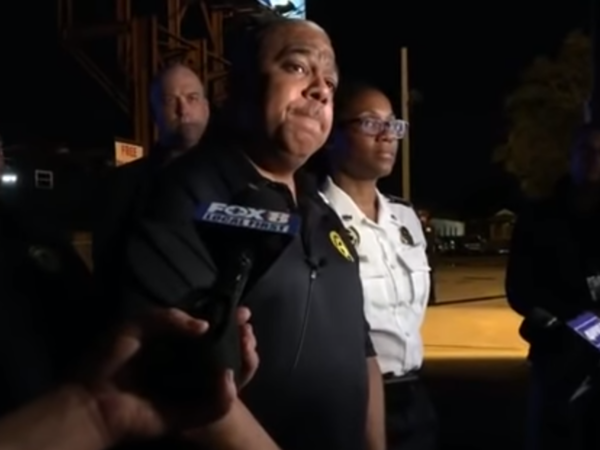 Later Saturday night, another shooting was reported in a different part of New Orleans, police said it was unclear whether the two events were connected.